Dilution ratio: 20 ml in 1 Litre of water. Heavy soiling: 50 ml in 1 litre of water. 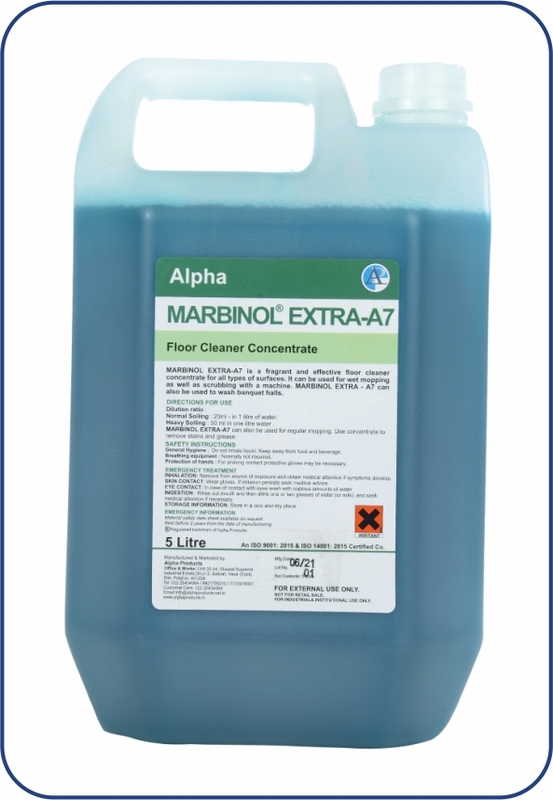 MARBINOL-EXTRA A7 can be used for regular mopping. Use concentrate to remove stains and grease. Marbinol -Extra A7 is mildly alkaline.